Located 1 degree north of the equator, Singapore has a tropical rainforest climate – blessed with lots of sunshine and abundant rainfall. 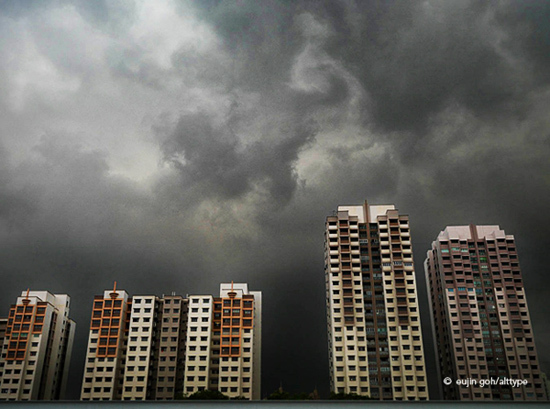 Image | This entry was posted in Singapore Skylines and tagged alt.PIX photography, Eujin Goh, HDB Flats, Pictures of Singapore, Singapore, Singapore Skyline Photography, Storm clouds. Bookmark the permalink.